Cloud mining or cloud hashing enables users to purchase mining capacity that of hardware in data centres. Two operators, Hashflare and Genesis Mining, have been offering contracts for several years. What are Bitcoin Cloud Mining Advantages? What are Bitcoin Cloud Mining Disadvantages? No fun! If you like building your own Bitcoin hashing systems. For example, Pay per GHash/s would be 0.0012 BTC / GHs for a 24 month contract. Contracts vary from hourly to multiple years. The major factor that is unknown to both parties is the Bitcoin network difficulty and it drastically determines the profitability of the bitcoin cloud hashing contracts. Bitcoin network difficulty is a measure of how difficult it is to find a hash below a given target. The Bitcoin network has a global block difficulty. Valid blocks must have a hash below this target. Bitcoin mining pools also have a pool-specific share difficulty setting a lower limit for shares. The Bitcoin network difficulty changes roughly every two weeks or 2,016 blocks. There are all types of cloud mining options for other forms of blockchain technology. There are limited options for Litecoin cloud mining contracts. If nothing on the list below meets your needs, you can buy Bitcoin cloud mining contracts (listed above) and simply convert the bitcoins you earn to litecoin. Hashflare Review: Hashflare offers scrypt mining contracts with a minimum purchase of 1 MH/s. Genesis Mining Review: Genesis Mining offers Litecoin cloud mining contracts. Minergate Review: Offers both pool and merged mining and cloud mining services for Litecoin. Eobot Review: Eobot offers Litecoin cloud mining contracts with 0.0071 LTC monthly payouts. There are limited options for Dash cloud mining contracts. If nothing on the list below meets your needs, you can buy Bitcoin cloud mining contracts (listed above) and simply convert the bitcoins you earn to Dash. Genesis Mining Review: Genesis Mining is the largest X11 cloud mining provider. Genesis Mining offers three Dash X11 cloud mining plans that are reasonably priced. Hashflare Review: Hashflare is a large Ether cloud mining provider with reasonably priced Ethereum cloud mining contracts. Genesis Mining Review: Genesis Mining is the largest Ether cloud mining provider. Ethereum cloud mining contracts are reasonably priced. Eobot Review: Eobot offers Ethereum cloud mining contracts with 0.0060 ETH monthly payouts. This Ethereum cloud mining guide will show you how to mine Ethereum using Amazon cloud servers. Scrypt.cc Review: Scrypt.cc allows purchase of KHS in a matter of seconds, start mining right away and even be able to trade your KHS in real time with prices based on supply and demand! All KHashes are safely stored and maintained in 2 secured data-centres. PB Mining Review: Claims to operate Bitcoin mining ASIC hardware. When customers buy a bitcoin mining contract then they will begin earning Bitcoins instantly. At Piggyback Mining, they cover the electricity costs and all Bitcoin mining pool fees. The Bitcoin mining contract is 100% insured because they want customers to succeed. Bitcoin Cloud Services (BCS) Review: Appears to have been a $500,000 Ponzi scam fraud. Zeushash Review: Appears to have halted payouts. Bitminer.io Review: Based on user reports they appear to have halted payouts. Hashflare Review: An Estonian cloud miner with SHA-256, Scrypt and Scrypt-N options and currently appears to be the best value. Minergate Review: MinerGate is a mining pool created by a group of cryptocoin enthusiasts. It is the first pool which provides service for merged mining. This means that while mining on our pool you can mine different coins simultaniously without decrease of hashrate for major coin. Hashnest Review: Hashnest is operated by Bitmain, producer of the Antminer line of miners. HashNest currently has over 600 Antminer S7s for rent. 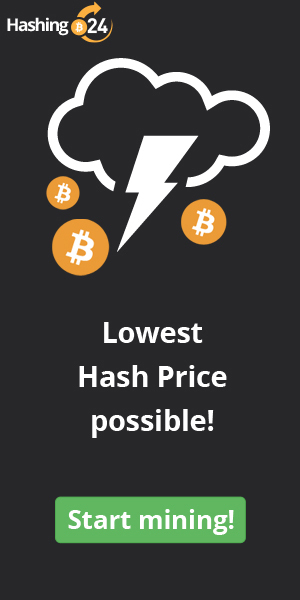 You can view the most up-to-date pricing and availability on Hashnest’s website. Bitcoin Cloud Mining Review: Supposedly has been mining Bitcoin since mid-2013. All Bitcoin miners are located in a state-of-the-art data centre in Australia and they have direct access to high quality equipment and 24/7 support. NiceHash Review: NiceHash offers you to sell and buy hashing power. Selling hashing power is as simple as connecting your miner to our stratum mining pools while buyers can buy hashing power on demand, on pay-as-you-go basis. Claims to bring an innovative easy-to-use and risk-free cloud mining service. You can mine the vast majority of popular coins, based on SHA-256 (Bitcoin, etc. ), Scrypt (Litecoin, Dogecoin, etc. ), Scrypt-N (Vertcoin, etc.) and X11 (DarkCoin, etc.). MineOnCloud Review: MineOnCloud appears to have obselete hardware. It was launched on November 2013. They offer Bitcoin mining contracts for SHA256 using a very stable ASIC 28nm chip. They have two bitcoin mining contract options – a day pass and an annual contract. Customers can choose the Bitcoin mining pool and change every month for free with year contract.